The name Fossil Hills, comes from the fossils that were and are still found on the farm which date back to the fish age of 355 million years ago. 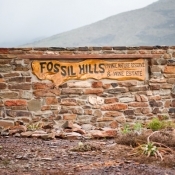 Fossil Hills is situated on the farm Thornvilla in the Breede Valley between Robertson and McGregor. Thornvilla has been producing wine sine 1950 and has been in the Naudé family for 3 generations and is currently a working wine farm. 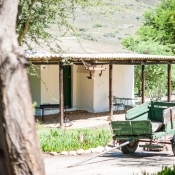 Forming part of the McGregor Winery, grapes, plums, apricots and various vegetables are harvested each year by Botha and his two sons, Jacob & Anthon. Come and enjoy the peace and quietness of staying on a working wine farm near the most beautiful town in the Western Cape, McGregor. Here life is slow, tranquil and gentle. Relax in total privacy while enjoying our spectacular mountain views. FOSSIL HILLS COTTAGE (4 people). 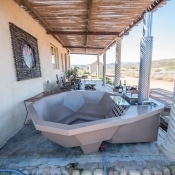 Previously the venue of ‘Eseltjies Rus’ a Donkey sanctuary & resturant just outside McGregor, this 5 bedroom main house and 3 bedroom annex has been transformed into a beautiful self-catering home. Idealy suited for families, reunions and wedding accomodation that can accommodate up to 16 people. 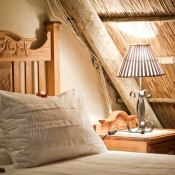 The Aloe Cottage is situated on Thornvilla wine farm, just 3km from the quaint little village of McGregor. 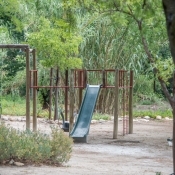 Experience the great Boland Wine Farm atmosphere with peaceful surroundings and lots of things to do and see nearby. 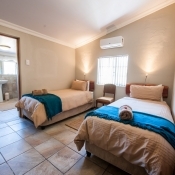 The Lavender Cottage is situated on Thornvilla wine farm, just 3km from the quaint little village of McGregor. 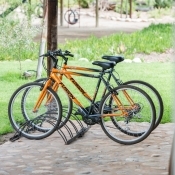 Experience the great Boland Wine Farm atmosphere with peaceful surroundings and lots of things to do and see nearby. There are walking/hiking trails, mountain biking, bird watching in Vrolijkheid Nature Reserve, a pottery studio, art galleries, cob house building and enjoyable meals and chats at one of our coffee shops, restaurants or pubs. The famous donkey santuary ‘Eseltjiesrus’ is situated 1km from the farm where you are able to feed, interact and maybe even adopt one of the donkeys. Situated 16km from the farm is the R62 wine route where you will be able to taste and enjoy the various wine that make the Breede Valley so popular. There is so much that the area offers from those wanting to relax to those seeking an adventure. 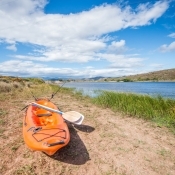 Viljoendrift, another working winefarm in the area, offer a slow boat cruise up and down the Breede River. This is always a must when visiting the valley.